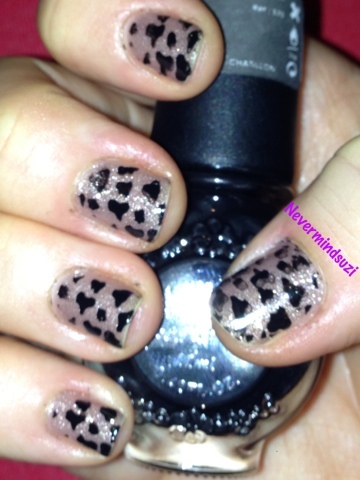 ... and this is my second attempt at this mani, as the first one was an epic fail though I've posted it for you anyway. I tried out two looks from the one plate, so my left had is giraffe print and my right hand cow print. 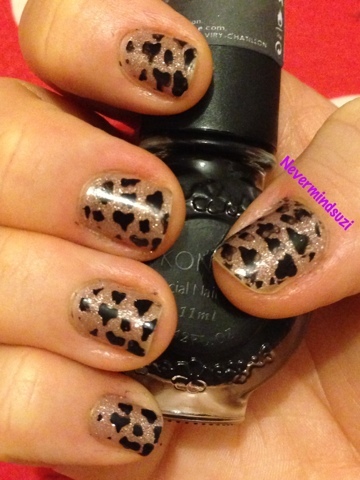 I think this shows you that you need to be careful when choosing a stamping polish. Adorable. I love the first one pictured with the large spots. You chose a perfect base color, and this looks great. I have a hard time picking good contract colors and I only have 1 Konad polish in black so I am limited in what I can do. I am still experimenting with off the shelf polishes but then again, I have trouble with picking good base and stamping colors so there is enough contract and the design will show. Oh I seem to have a knack for stamping crooked too no matter how I eyeball it, and think I've lined it up just so. Ha ha. 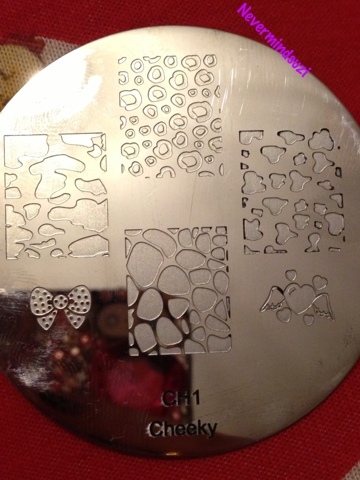 I've only used Konad plates and Salon Express so far, but I have had my eye on some of those Cheeky plates and designs. Really cute. Don't bother with the Salon Express kit as the images are etched shallow and the design comes out very faint and without much detail.